Want clear skin? You hear it all the time. “Drink water and mind your business.” Listen, sis. I’m here to tell you that you can finesse your way into clearer, brighter and more hydrated skin without all that. Okay, you do still need to drink water! But you can still meddle in folks’ business guilt free with the cult favorite Mario Badescu Facial Spray with Aloe, Herbs and Rosewater. 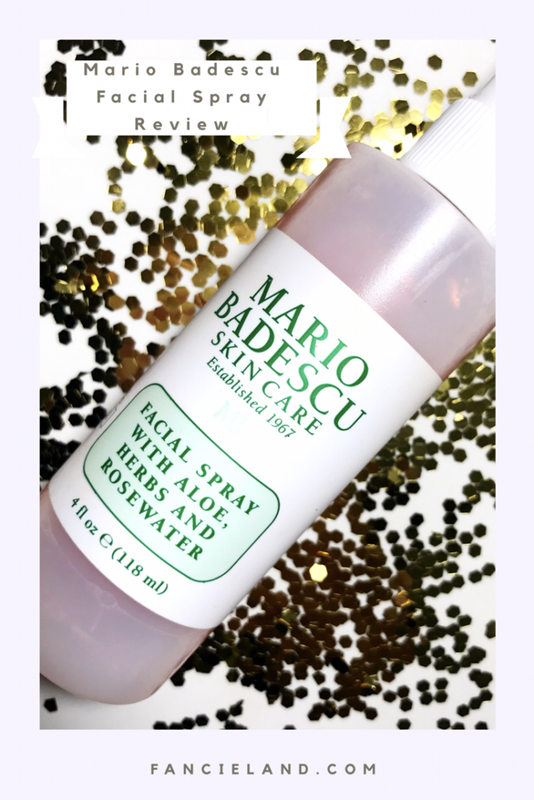 The Mario Badescu Facial Spray with Aloe, Herbs and Rosewater is a staple for makeup artists and makeup junkies alike. Skin feels instantly hydrated and refreshed with just a single spritz. This miracle spray is formulated with soothing all natural ingredients like Aloe Vera, thyme leaf and, of course, rosewater. The Facial Spray with Aloe, Herbs and Rosewater can be used before, during and after skincare and makeup for a moisture boost and luminous glow. Technically speaking, no. The Facial Spray with Aloe, Herbs and Rosewater is not actually a toner. It can definitely pass as a toner, though! You won’t get the key pH balancing from the Facial Spray with Aloe, Herbs and Rosewater as you would from a typical toner. However, you still get soothed, refreshed and hydrated skin after a spritz or two. Just as you would with a regular toner. The Mario Badescu Facial Spray with Aloe, Herbs and Rosewater won’t completely transform your skin. But you’ll certainly notice a difference when used regularly. I’ve been using the Facial Spray with Aloe, Herbs and Rosewater for over a year now and it has made my skin feel a lot more smooth and supple. Plus, my skin seems to feel hydrated longer throughout the day when I spritz a little on before applying my skincare. I’d say the Mario Badescu Facial Spray with Aloe, Herbs and Rosewater is an investment if you have dry or mature skin. You’ll probably love it even if you have oily skin, too. You’re bound to be pleased whether you’re sneaking in a little extra moisture or perfecting your complexion as you gossip! ← Fenty Beauty by Rihanna is Here & it’s Magical!